WhatsApp had rolled out a new video calling feature which is trending across the web today. WhatsApp Video Streaming is the biggest app for messaging across the world with over a billion of active users every time. The new feature allows the users to stream the video that is shared by the contact even without the completion of the download. The feature is presently available for Android users with this beta version. The feature is currently in the testing phase and was going remove its download button replacing with the playing button. 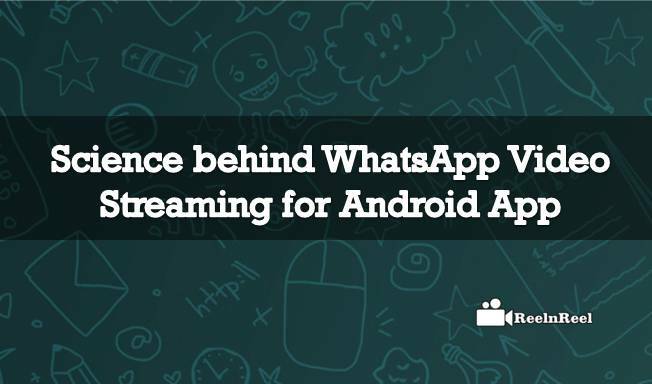 What is the science behind new WhatsApp video streaming feature and what is the main objective of this feature? The main objective behind this feature is saving bandwidth for users as well as control spamming too. With this video streaming feature, the data allowance can be reduced and users are allowed to watch the video stream on other’s phone too. Means for example, if the video is of 5MB in length with 2 minutes length then you might not have any interest to watch and stopped after a minute then you can stop playing it and can save bandwidth as it just consumed 1.3MB for watching 1 minute of 5MB video. In the present version, the users can’t be able to watch it until it is downloaded completely to watch. Though user didn’t like the video after half of time and stopped, the user has to pay the total charge for download. When comes to spamming control, sampling the video clip without downloading can decrease the spamming level and other useless spammed forwarding. Users share every sort of stuff to their groups and other friends on WhatsApp which increasing the spamming on the app platform. So with this new feature, the users can know which is useful and which one is irrelevant and hence saved data and reduce spamming. So many users are supporting this new feature as it also saves their data plan. In most of the cases, the users have to pay huge data charges when they download the video which is useless to them. but now there will not be any problem with the spamming and data charges as users can download after checking the clip, and they can stop if they don’t like and pay for what they need. Therefore, WhatsApp also created a competitive edge to other messaging applications that are in use.Hope the beta version will very soon update with better working and helps the users.